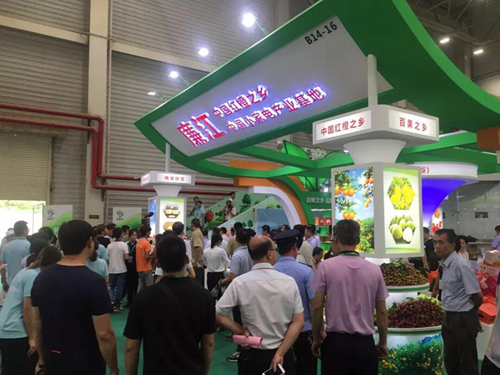 The 3rd Zhanjiang-ASEAN Agriculture Trade Fair concluded at Zhanjiang, Guangdong province on July 9. It attracted more than 1,000 enterprises from 32 countries and gained a transaction volume of 3 billion yuan ($453.8 million). 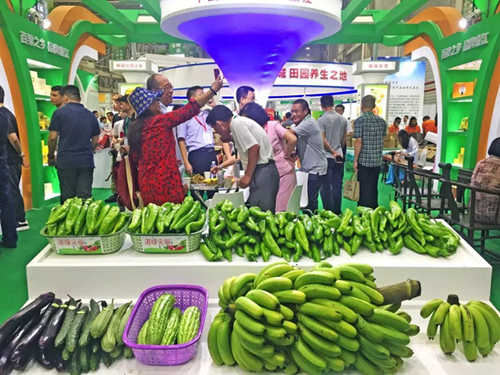 Founded in 2016, the annual fair is an international platform for agricultural cooperation and exchanges, especially between Zhanjiang and the Association of Southeast Asian Nations (ASEAN), the largest export market of the city since 2013. This year, the fair put 5,517 domestic produces from 28 provinces on show. Alongside were 309 enterprises from Thailand, Laos, Vietnam, Malaysia, Cambodia, Sri Lanka, Iran, Japan and South Korea, which also brought their specialties such as fruit, coffee, tea, tomatoes, rice, and cubilose for promotion. 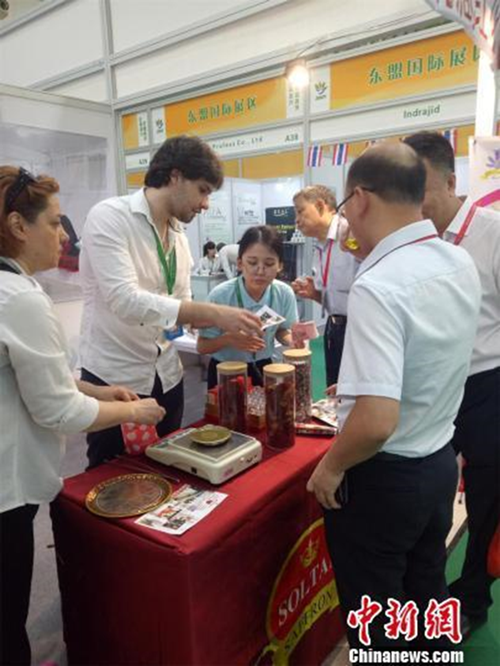 Chinese tea, Cambodian rice and citronella, Indonesian coffee and Iranian saffron crocus were the most popular agricultural products at the fair. Rice is one of the major exports of Cambodia. The rice exported to China is green, nutritious, but rare, as yield is only about 150 kilograms per mu (0.07 hectares). Cambodia exported more than 630,000 tons of rice last year, 200,000 of which were sold to China, said the president of Golden Rice (Cambodia) Co Ltd. According to him, the company has participated in the agriculture trade fair for three consecutive years. Each time, it took a ton of rice for exhibition and to offer potential business partners a taste. So far, it has reached preliminary agreement with multiple companies to be its agent in China. In addition to the agricultural products, cutting-edge technologies and devices related to breeding, processing, packaging, preservation and testing were exhibited at the three parallel sessions, held in Leizhou Modern Agricultural Core Demonstration Area, Nanguo Flower Sci-tech Park and Lianjiang Leisure Agricultural Base. The three-day event hosted a series of match-making conferences and promotional activities attended by 12 ASEAN chambers of commerce and 27 ASEAN enterprises. It is expected to advance cooperation and trade between China and ASEAN to a higher level.